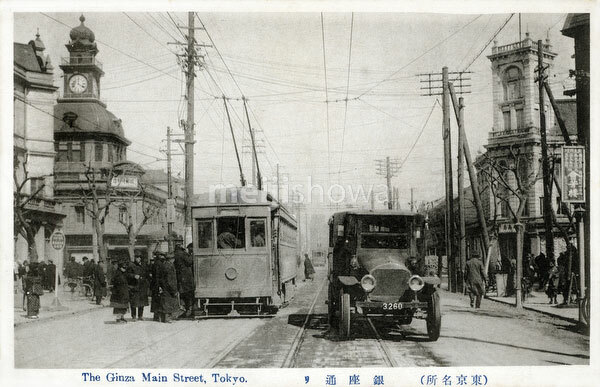 A streetcar and truck pass by the Hattori Building in Tokyo’s fashionable Ginza. The Hattori Building was one of Ginza’s main landmarks. It was the home of K. Hattori & Co., a watch and jewellery shop opened in 1881 (Meiji 14) by Kintaro Hattori (1860-1934). See blog entry.